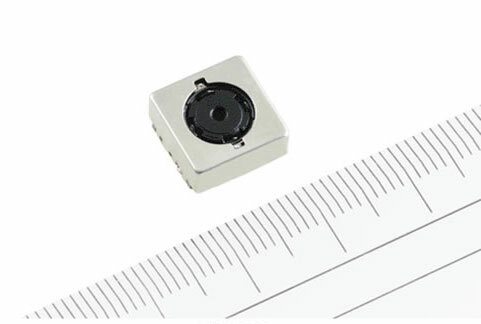 Sharp Corporation has developed a 12.1-Megapixel, 1/3.2-inch CMOS camera module with optical image stabilization that features the industry’s thinnest profile (5.47 mm in height). The new RJ63YC100 is said to be made for use in mobile devices. Handheld devices are getting slimmer but faster and better in performance and new module being extremely small in size means that it will have a huge demand for portable mobile devices. The module also addresses the need for embedded cameras in these devices to deliver superior image quality and camera functionality, including connectivity to AV equipment and personal computers. The module also has optical image stabilization which uses a lens-shift system to control the lens inside the module. Sharp’s proprietary high-density packaging technology has made it possible to achieve the industry’s thinnest profile in this type of camera module, which is expected to help reduce the thickness of mobile devices such as smartphones. The module also supports full HD 1080 video capabilities. So the big shots in the handset industry should keep a keen eye on this as the slim profile of the module should do wonders for their devices.